Gurkha Troops from British Forces Brunei, along with the Band of the Brigade of Gurkhas, celebrated G200 in Bandar this morning with a parade in the country’s capital. His Majesty Sultan Haji Hassanal Bolkiah Mu’izzaddin Waddaulah, the Sultan and Yang Di-Pertuan of Brunei Darussalam took the parade inspection at Taman SOAS in the capital marking two centuries of Gurkha service to the British Crown as well as the special relationship between the Royal Brunei Armed Forces and British Army. 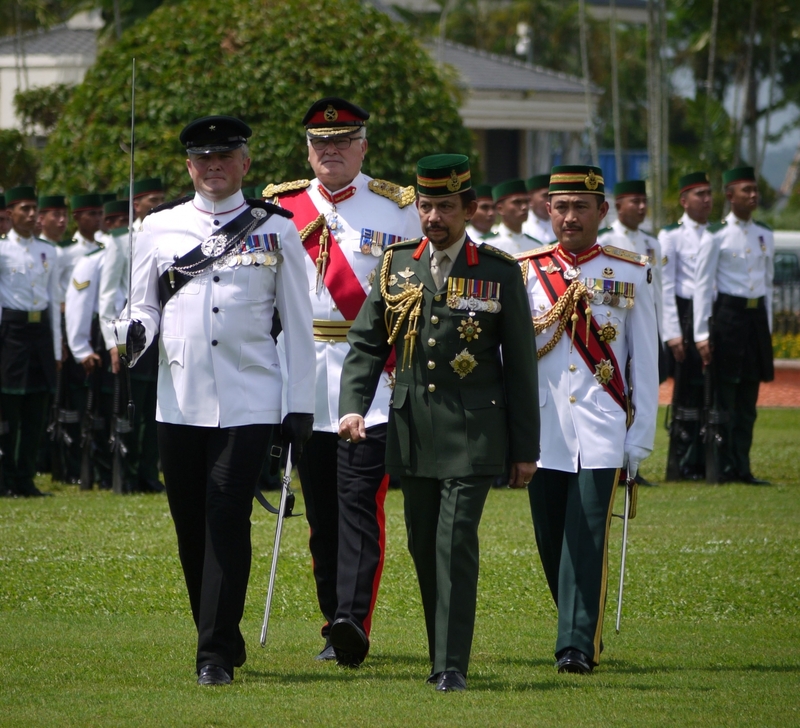 The parade marks Brunei’s celebration of the contribution Gurkhas have made in their 200 year service to the British Crown, where they have also made a significant contribution to the security of Brunei since 1959 when they helped to quell a revolt against the then Sultan Suifuddien III. Nowadays a battalion of the Royal Gurkha Rifles is permanently stationed in the country, and 1 RGR are currently performing that duty. Colonel BG, Col Robinson also attended the parade with former CGS, Sir Peter Wall GCB, CBE, DL Hon. FREng, who joined the Sultan in inspecting the parade.